With assistive care, patients can learn to manage blood sugar or insulin levels and prevent dangerous diabetic emergencies or shock. You’re not in this alone; you can have support and quality care as you manage your or a loved one’s diabetes. Have our skilled home health care agency provide in-home diabetic care to help keep the disease under control and protect complications. Whether you’re new to insulin injections or have recently been hospitalized due to diabetes complication, we can help you develop a healthy lifestyle that takes your condition into account. 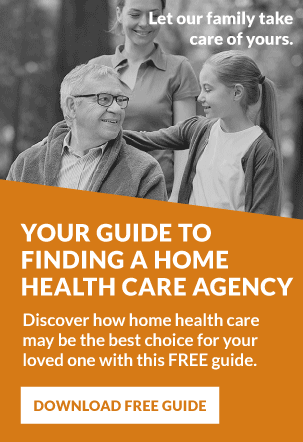 Has Your Doctor Recommended Home Health Diabetes Care? This is why it’s so important to work with a skilled nurse to keep diabetes under control in the comfort of your own home. In-home nursing for diabetes care is a great way to manage the condition and its symptoms while avoiding many of the risk factors that diabetic patients have. We can help you craft your diabetes home care plan in order to treat the disease in the comfort of home while you focus on your health and wellness. Patients often suffer skin complications from infections or other disorders. With diabetes care in Las Vegas, a medical professional will observe and treat it immediately to prevent it from becoming an infection. They heal slowly, so a skin infection may take several weeks to address. Foot complications arise in about 50% of people with diabetes. They may experience neuropathy (numbness, loss of feeling in the feet), sustain an injury and not realize it. Poor circulation makes it difficult to fight off infections and heal. Unfortunately, reduction of blood flow or peripheral arterial disease can lead to foot amputation. With diabetic foot care from a home health agency, issues can be identified and prevented earlier. 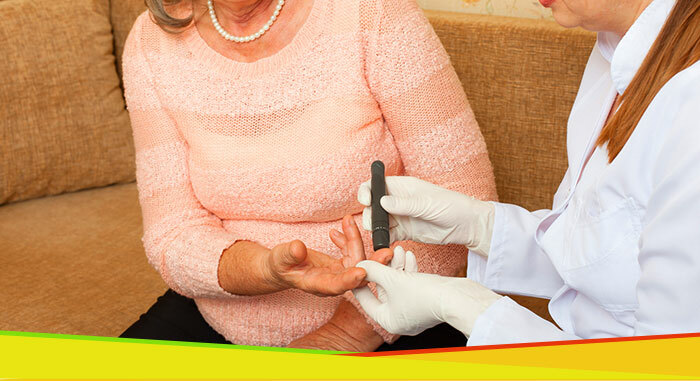 With diabetes home care management, a skilled nurse can assist in monitoring blood pressure and helping lower cholesterol in the diet to reduce the possibility of stroke. Monitoring blood pressure and diabetes together also reduces the chance of kidney disease. High blood pressure can lead to heart attacks, strokes, kidney disease and eye complications. We’ll get you on the path to coordinating care, whether that includes going over your insurance options or crafting a diabetes care plan with Medicare.